Just got my SII WWP GT and wondering if anyone meets up ever, I see a few 8's around so let me know. I'm in the Denver area, but members are few and far between. I think we have a couple in the Springs, but other than that, pretty dead around here. I figured judging by posting frequency in this section. So I might be moving to Denver and this is not a good sign. Is there any cars and coffee style scene in Denver at all? There are a lot of Cars and Coffee meets in Denver and the surrounding areas. I myself have never attended one, but my brother has gone to a few, so have some of my friends. New to the rotary scene as well as the Colorado scene. Just moved down from Alaska. Anyone in the springs area? There are several rotaries in the springs, mostly 3rd Gen 7's. There are alot of 8's in Denver, I see them all the time, just not a very active community that I have found. 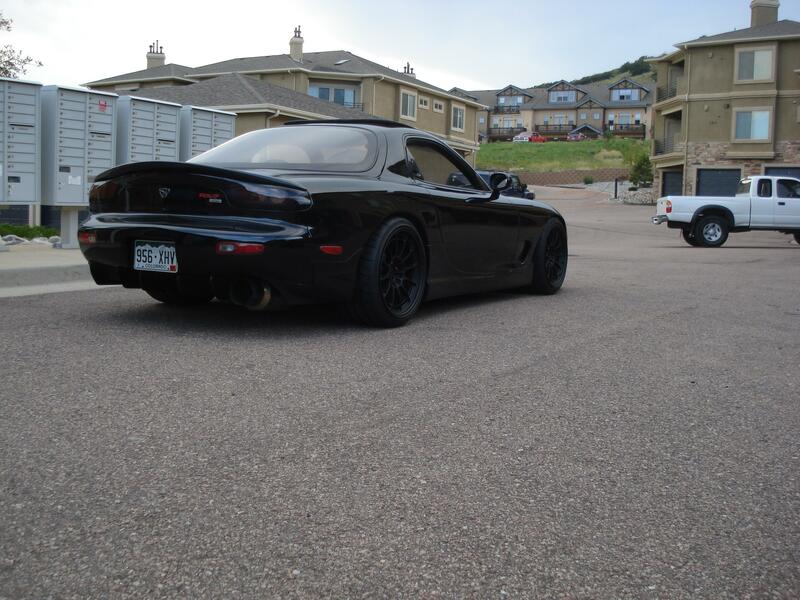 Are there any rotary shops in denver? Nice, did you read the new owners thread to help with your search? 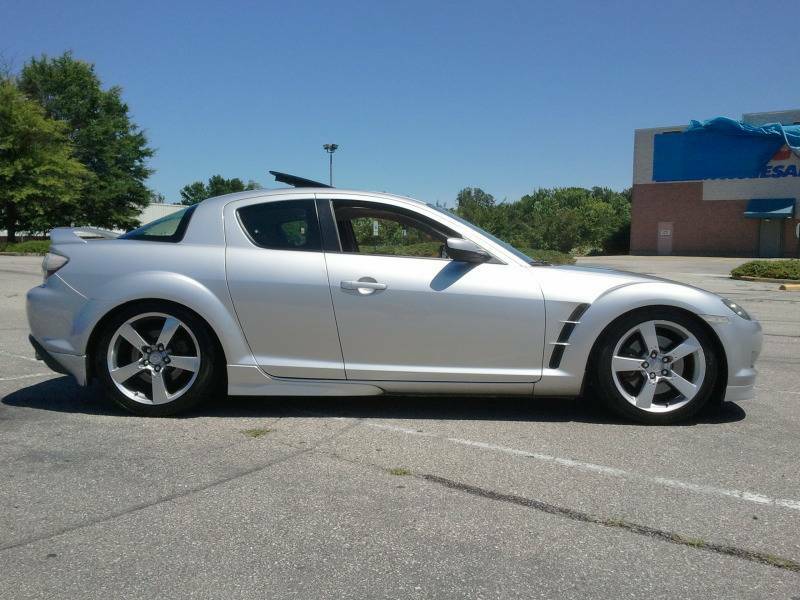 I have read a lot about rx8's. Found a nice one that needs a new transmission rebuild/transmission swap but has a new engine in it. great price and great condition. I do have to travel to get it but no big deal. I am pretty comftorable with the rx8 from all the reading I have done atleast with components. Hopefully I can get the car next weekend. here would be my rotary set up the 7 and 8. Nice FD! Welcome to the club/area. It is pretty dead here, unfortunately. . . . . . . It is dead here, but I see 8's all the time in the area, so there are a lot of them around. There's a decent representation in our local SCCA autocross group. You can check it out at rmsolo.org. I'm considering bringing my 8 out to some Autocross, actually. Once everything is dialed in, and I join scca. I will be doing track days and autocross with my 8 next year. getting it all ready now to do so. My business is about twenty blocks south of that lot. I could probably take a look at it later today or tomorrow morning. Could you alert them that I would be coming? I can try to go take a look tomorrow during my lunch, you already got compression #'s so if they are good I will look it over and let you know if there is anything visibly wrong with it. Maybe take it for a test drive too. Should I still go look? Don't want to was my time if you are no longer interested? Let me know. Hey Mark. Sorry bout responding so late. Been working crazy hours. I'm interested in the car. I'm still shopping around. If it's not that badly out of your way I would appreciate a look at it. I just want to make sure the undercarriage and the interiors and exterior are in excellent condition as they look in the pics sent to me. I know engine wise the car is Very very good. I'm going to New Hampshire this weekend to check another one. Never trust a dealership on broadway.